When looking at the energy around the couple, it seems like they’re having fun. While they do enjoy each other’s company, what keeps them getting back together is their ability to relate to one another. It’s a level of comfort that they both need at this time. There’s been buzz about their new duet — and for good reason! Mayer sings that he can see himself growing old with her. How adorable is that? The only thing is that gushy love eventually ends. The soulful singer has a habit of quickly becoming attached to the woman he’s dating, so only time will tell if they survive past the honeymoon stage. In their duet, he also wrote that he couldn’t run anymore. He’s finally starting to show signs of getting serious about his love life. During his relationship with Perry, she will help him grow up a bit. Even so, Mayer will become bored and soon move on to the next lady. Kate Middleton and Prince William: Ever since Kate Middleton and Prince William announced their engagement, the world has been enchanted with the lovely couple. 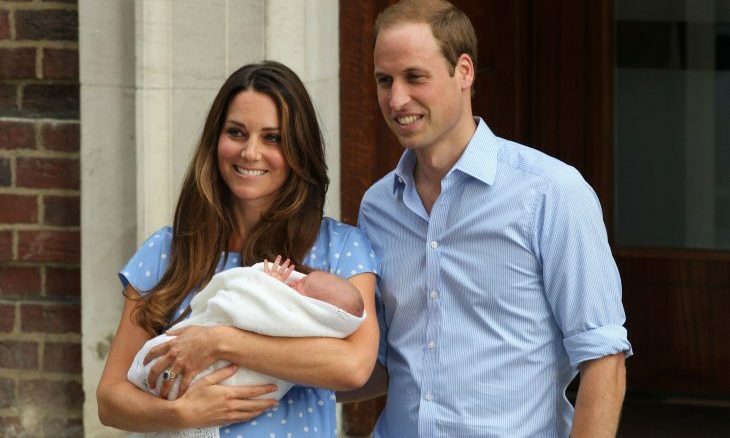 When Kate announced she was pregnant with a royal bundle of joy, we couldn’t wait for the baby to arrive! We can all finally relax: Prince George is here and has been presented to the world. The Duke and Duchess’s marriage appears to be going strong; in fact, they’ve never been better. Surrounding their relationship is the energy of Princess Diana, as if she watches over them and guides her son. Without a doubt, these two are best friends. They want to keep a low profile and simply enjoy their lives together. There is another baby energy circling Kate. They want to wait a bit before their next child, but they may not have a choice. Don’t be surprised if she’s soon pregnant with baby number two, which will bring them a daughter. Related Link: Will Harry and Pippa Be Named Godparents for Prince George? Fergie and Josh Duhamel: Fergie and Josh Duhamel cannot wait until the arrival of their son. The energy in their relationship has shifted for the better since Fergie got pregnant. Rumors had been circling about Josh’s activities with other women, but now, he’s a bit more centered and focused on family. Fergie has just legally changed her name from Stacy Ann Ferguson to Fergie Duhamel. It is said that, when you change your name, you change your destiny, so the newly-annointed Mrs. Duhamel has shifted her energy on many levels. Josh is going to be really close to his son — it’ll be hard to find him in a photo without him. It will cause him to want to work less, while Fergie will be inspired with material for a new album dedicated to the two men in her life and the love she has for them. It’s a very happy time in the Duhamel household. All the best to them!